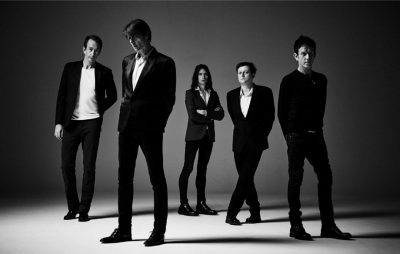 Somehow – call it middle-age, or more likely, just sheer music overload – I missed the fact that Suede have a new album coming out in September. Their eighth album is entitled The Blue Hour, and will be released on September 21. In 2003, a friend texted me to say that Suede were breaking up. Many people had, sadly stopped caring by this point, but I was not one of them. For the fourth and final time, I went off to see them, this time playing at the then-new Carling Academy in Glasgow. The support band was Razorlight. I paid my final respects, as after all, they had soundtracked a not inconsiderable part of my life. Dog Man Star was and remains my favourite album of the nineties and Oasis could never, ever have touched them in my affections, even at the height of Britpop. Within a matter of weeks, it was announced that Brett Anderson – who had announced the split of Suede that ‘I neeed to do whatever it takes to get my demon back’ – was working with Bernard Butler, Suede’s original guitarist. Given that the two of them parted company bitterly in Suede in 1994, this was seen as a surprise but good news. They called themselves The Tears and toured. They played Edinburgh on Valentine’s Night 2005, released one album then went their separate ways. Butler has become a noted producer (most famously, Duffy) and Anderson released two solo albums. Which, much as I wanted to love them, were rather disappointing. So it has now been announced that Suede are reforming. 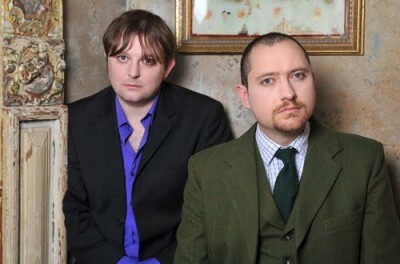 However, Butler is not part of the line-up; sticking to his guns that he finds the wave of Britpop reunions embarassing. So the line-up that will take to the stage of The Royal Albert Hall for the Teenage Cancer Trust will be the line-up that released Coming Up and Head Music. In other words, Anderson, original bassist Matt Osman and drummer Simon Gilbert with guitarist Richard Oakes and keyboard player Neil Codling. So…the greatest album of the nineties? Well, duh, obviously Nevermind, no? 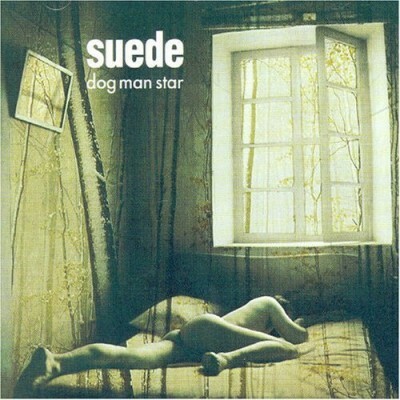 IMHO, the greatest album of the nineties is Dog Man Star by Suede. By September 1994, things were starting to change for Suede, and not necessarily for the best. I was in my final year of school, and starting to sense that life in a small town would not have to plague me forever. 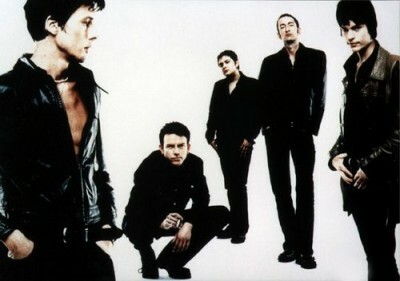 Suede’s second album was anticipated – but the Britpop scene that they were part of, whether they wanted to be or not, was starting to overtake them. Blur had released Parklife a few months previously, Oasis’ Definitely Maybe was bringing laddishness back into fashion (unfortunately) and looking effete was not so cool any more. And Pulp’s Jarvis Cocker was also proving that he could write a dark, deeply sexual lyric. Had Dog Man Star come out in the eighties, it would probably have been described as goth. And there’s a certain amount of the gothic about the album. With its’ tales of life in suburbia, getting wrecked to ease the pain, dying young and staying pretty…this was the mood of the album. Hints of drug use crept into the album, and then into the interviews. Was ‘Heroine’ just a clever pun…or something more? What about ‘Daddy’s Speeding?’ but ‘new generation’ the final single release from the album was optimistic, and anthemic. I’d picked up the 12″ single on a trip to London, and brought it back, like a talisman. Dog Man Star is an album out of time and all the better for it. It’s the album that ensured Suede always meant more to than Oasis ever, ever could. It’s orchestral – not because it aspired to be like the Beatles, but because it aspired to lift us out of the towns that dragged us down, and the Smiths were never, ever coming back. It was the soundtrack of outsiders who longed to escape. In my penultimate term at school my friend Duncan and I got tickets to see them in Leicester – and we were not disappointed. It was a cold night (oddly fitting, given the mood of the album) , and even with Bernard Butler having departed, Richard Oakes’ enthusiasm made up for it. I was never going to fit in a small town. Why would I want to? There wasn’t a way out…but a way forward. Suede might be falling from grace – but the rugger buggers and townies would soon be left behind. There was…hope. Granted, this may seem like the oddest one to put in this ongoing series, given that there are people out there who really love this album. It’s my favourite album of the nineties, and I know others who feel as strongly. Yet there are those who have dismissed it. Q magazine listed it in the 100 top follies of all time. I don’t see it in those lists of ‘Greatest albums ever as voted for by a handful of people who are persuing an agenda.’ Oh, the band were not terribly keen on it either. For a time in the early nineties, Suede were the indie band. They were covered by Morrissey – debut single ‘The Drowners’ b-side ‘My Insatiable One’ was in his set before many people had even heard of Suede, and singer Brett Anderson was interviewed with David Bowie very quickly. Their debut eponymous album enetered the album charts at no.1 in the spring of 1993, and the band swept readers and writers’ polls. It’s a pity all this overshadowed the relase of what is a stunning album. Lushly orchestrated, and with Brett Anderson’s fantastic lyrics. The album was darker than their debut (a friend of mine once pointed out that had this album come out in 1984, Suede would have been considered a ‘goth’ band). Tales of isolation in suburban life, love, and being young…as well as hints of drug use, which would only be explained in subsequent years. ‘The 2 of Us’ is the album’s highpoint, but the clser ‘Still Life’ was the sound of a band at the height of their powers. Brett Anderson eventually accepted it was the fans’ favourite album by the final tour, and when the band played the album in its’ entirety in London in 2003, tickets were changing hands for £1000.